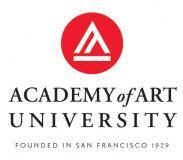 Academy of Art University is college with 10508 students located in San Francisco, CA. Describe the type of student who should attend Academy of Art University. Why? The type of student who should attend this amazing college should have two important qualities about them, the creativity to amaze people, and the determination to want to achieve your goals. What is a typical Academy of Art University student like? Describe the type of person that should attend Academy of Art University. There is a multitude of students attending Academy of Art. But the typical student is hardworking and extremely passionate about what it is they do. What are the top 3 reasons someone should attend Academy of Art University? What was a typical Academy of Art University student like in high school? Describe the type of person that should attend Academy of Art University. The hallmark of the Academy of Art University's online education program is flexibility. You can complete your degree online, full-time or part-time, whenever and wherever it is convenient to you. You can also complete your degree by taking some classes online and others at our campus in San Francisco. And for those who simply want to take a class or two, we offer the opportunity to complete an Online Award of Completion program for personal enrichment. In this section you'll find information about the Academy's online education program information, as well as about tuition and financial aid, accreditation, admission requirements, frequently asked questions, and more. If you'd like to learn more about our degree programs and academic departments, please visit the Schools section. To see what makes up the Academy's unparallelled art education program, visit the Innovative Learning section. There are two important dates in the history of the Academy of Art University: 1929, when the school was founded; and 2002, when the Academy began to integrate online education into the curriculum. The online program has been ambitious from the beginning, offering both BFA and MFA degrees in every subject we offer on campus, taught by the same great instructors who comprise our on-campus faculty. The Academy of Art University is one of the fastest-growing universities in the world, and the online program is growing with it. We've added new degree programs in Multimedia Communications and Game Design, with more on the way. We've helped tens of thousands of students from countries all over the world begin exciting new careers, achieve their dreams - and maybe even make the world a little more colorful along the way. What are the top 3 things that students do for fun at Academy of Art University? Campus housing is available for undergraduates. Housing deposit : $500.00. Housing deposit is not refunded if student does not enroll.. Freshman allowed to have car. No pets. 34% of freshman live on-campus. The average student pays $26,905 for tuition, fees, and other expenses, after grants and scholarships. Total stated tuition is $18,840, in-state and on-campus, before financial aid. The typical (median) early career salary of Academy of Art University graduates is $45,900, according to Payscale. Academy of Art University participates in the NCAA Division II for college athletics. Want more info about Academy of Art University? Get free advice from education experts and Noodle community members.